This post is sponsored by Clarisonic and Her Campus Media. All opinions are my own. Thank you for supporting the brands that make Honestly Hannah possible! Skincare will forever be one of my top priorities. I love makeup (no secrets there...), but I believe it's SO important to take good care of your skin. This past summer, I made the decision start using skincare products that were really going to nourish my skin. I'm excited to share with you guys my fall skincare routine. I'm breaking it down step by step to make things as simple as possible! 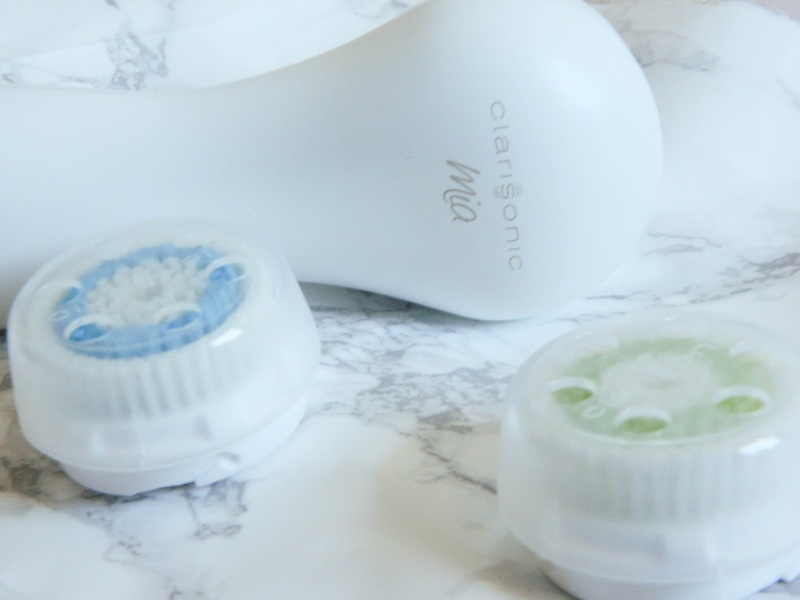 I use the Clarisonic Mia 1 Device along with their Deep Pore Brush Head. I'm OBSESSED with the way this product makes my skin look and feel. 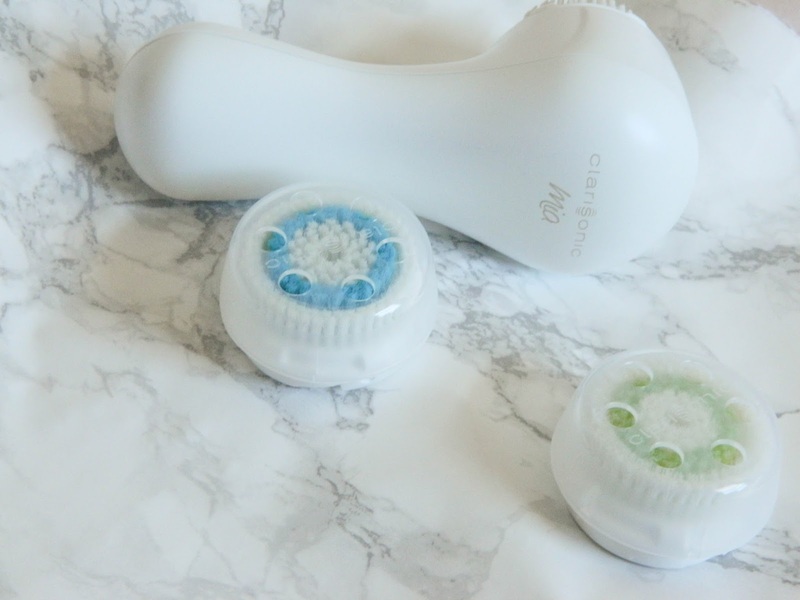 The Mia 1 is gentle enough to be used twice a day, so I use it morning and night along with their Pore & Blemish Cleanser and my skin is loving it. 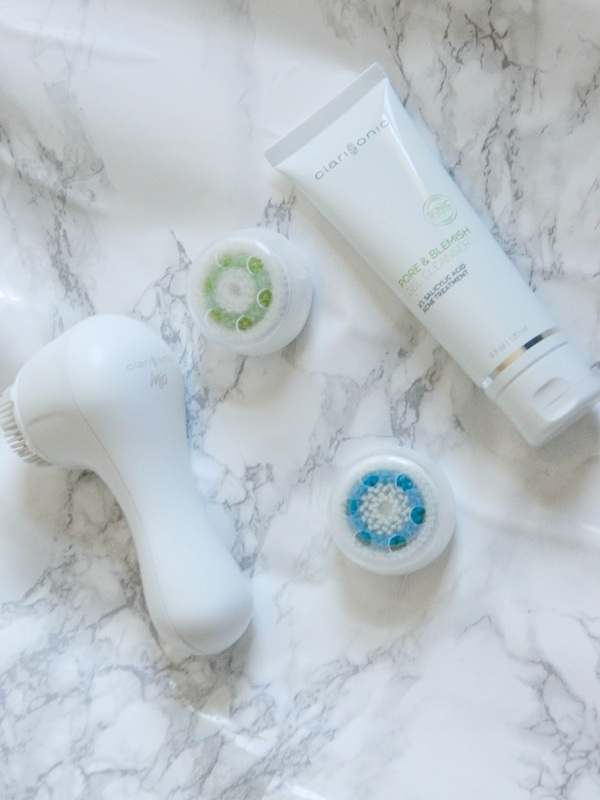 This facial cleansing brush features one speed that's suitable for all skin types. 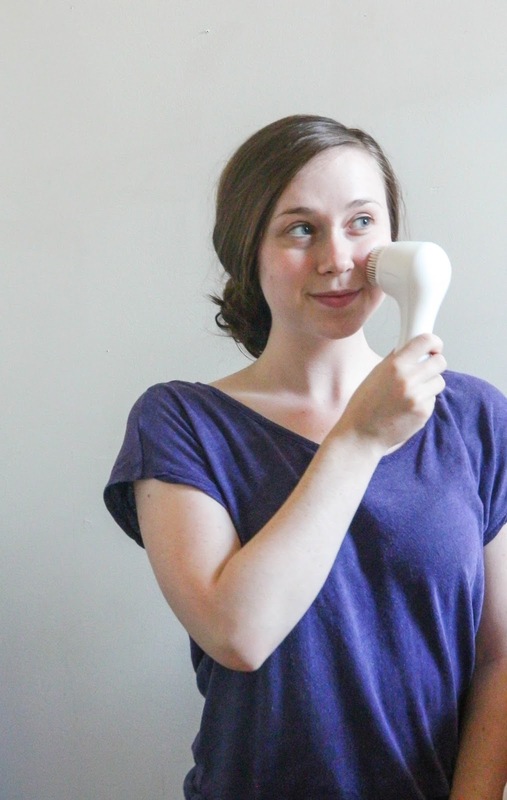 The movement of the device works to remove dirt, oil, and debris that can cause signs of aging. I love the fact that the device is waterproof so I can use it in the shower every morning without worrying about ruining it! 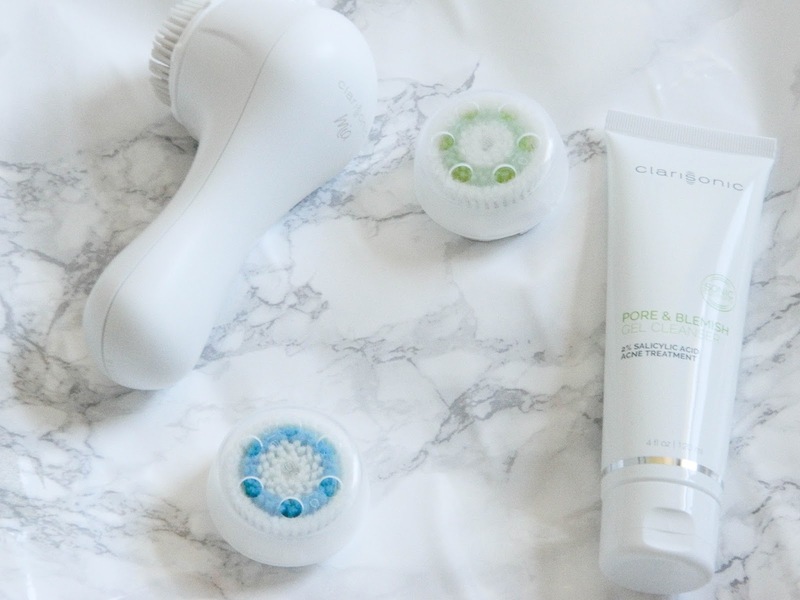 The Pore & Blemish Cleanser from Clarisonic is perfect for sensitive, acne-prone skin (hello!). The cleanser specifically targets excess oil, pimples, blackheads, and whiteheads for clearer looking skin. The product is formulated with 2% Salicylic Acid to help fight annoying breakouts, along with micro-exfoliating Lipo Hydroxy Acid that helps to provide gentle cell-by-cell removal of debris and dirt. 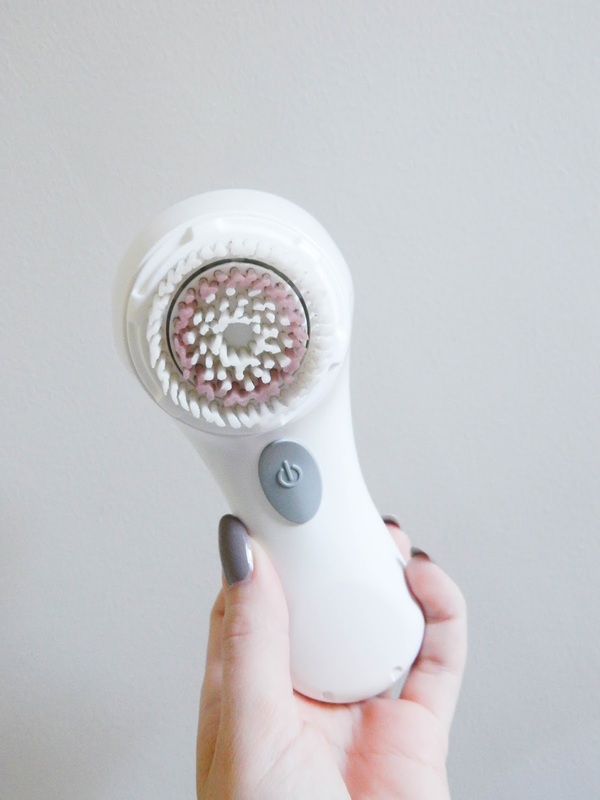 I've struggled with large pores for as long as I can remember, so when I found out about the Deep Pore Brush Head I was super intrigued. The brush is engineered with graduated dual-action bristles to help flush and dislodge oil and debris that clogs pores. 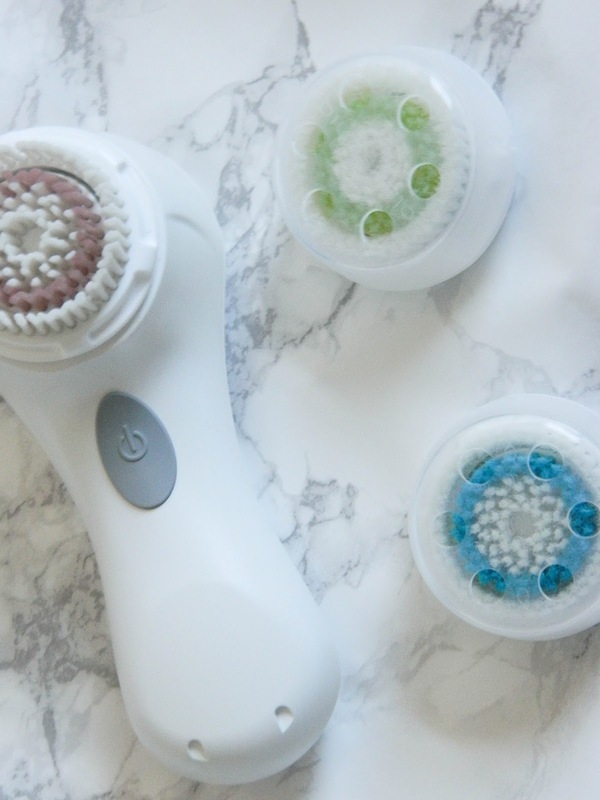 The Acne Brush Head is also great for sensitive, acne-prone skin. I talked about rosehip oil in a recent blog post. This oil is seriously life changing! I like to just apply it before bed before applying my moisturizer, but if you find that your skin is feeling super dry, it's a good idea to also use it in the morning. I drop a bit on my fingertips and massage it in circular motions all over my face and neck. There are so many benefits! Last but definitely not least, I apply moisturizer. At night, I like to apply a thicker, very hydrating moisturizer that can soak into my skin overnight. During the day, I prefer a light moisturizer with at least SPF 15 for everyday wear. Click here and use code HERCAMPUS for 15% off all devices! Additionally, Clarisonic offers payment plans upon credit approval. Read more here. 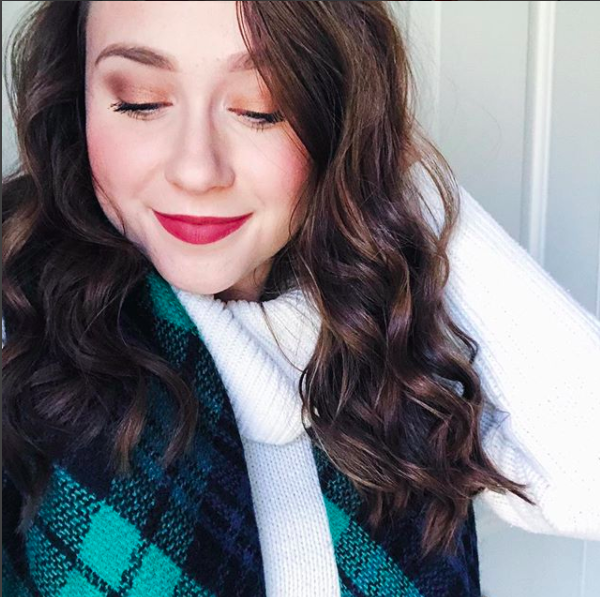 Let me know what your fall skincare routine is in the comments! Have you tried the Mia 1? I’ve always wanted to try one of these spin brushes! I’ve heard great things about them. I need to try the rosehip oil. I prefer oils over moisturizers because I feel like it gets into your skin better. Thanks for sharing this! Awesome information shared. I love you article. It's really very essential to have a skin care routine. As through this we can keep our skin healthy and perfect for all skin type. And that to stay away from many skin problems like acne, anti aging and many more. I am a boy but I want to stay away from skin problem and once I had face the problem of acne. Then my friend recommended me to use acne cream by dermology. I just love the results and now I am happy with my skin.